A trust, like any other legal document, can be a huge help to your loved ones but if it is not updated as circumstances change problems can occur. Moreover, if the trust is ignored upon the death of a spouse or both spouses a very bad financial situation may be created for your successor trustee and family. Most people don’t think about the fact that the laws are constantly changing. In addition, their own personal situations are changing such as marriage, divorce, death, births, moving, selling or buying a house, refinancing a house, opening or closing a bank account. All of these situations and more can mean that your trust should be checked to see if it is accomplishing what you want. As a general rule if any of the above situations have happened or it has been at least 5 years since you have last spoken with your attorney, you should dust off the trust and read it, and then call your attorney and have a quick conversation about the changing laws and any life changes you have had. For example, a lot of people have refinanced their house after they created the trust. In order to do the refinance of a house, the house must be taken out of the trust. It is extremely common that the house does not get put back into the trust and if the client was to die at that point, the house would go through probate. Our firm can help you confirm that all of your assets are properly in your trust. Another example of changes are to the trust itself. 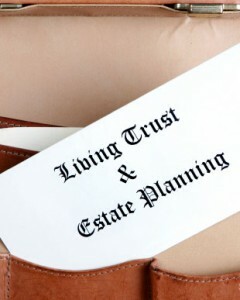 A lot of couples have had a trust that requires an asset split at the first death also known as an A-B trust. The challenge with A-B trusts is that they require work to be done at the death of the first spouse which can cost several thousand dollars. As the laws have changed, it can make a lot more sense to have a different trust that does not require an asset split at the first death which will save the couple thousands of dollars. Our firm has sat down with many clients who have trusts to review them and make their trust will not require needless expenses as the spouses die. At the death of the first spouse it is critical for the surviving spouse to call us to figure out what they will need to do as a requirement of the trust. Many times children have come into our office with their parents trust after both parents have died and we have to tell them that there was work that was required at the first death and now we will have to perform that work. The challenge is, we are now getting valuations and creating tax returns in reverse which generally means the cost will be higher to go back and perform work that should have been done years ago. Worse yet, we have some children that come in 5 or 10 years after both parents have died and now we have to create paperwork that spans long extended periods of time which means more expense to the trust. Additionally, the child who was supposed to be the trustee during that time will have made mistakes with the money such as not selling the house before the market crashed or not liquidating the brokerage accounts before the market crashed. Even though the child did not seek legal advice before doing nothing or doing something wrong, the child will be on the hook financially for every mistake they make. Therefore, the important thing to remember is, if someone dies that had a trust it is critical to call our firm to find out what the requirements of the trust are and what you as trustee should be doing and in what order. Failure to do so can have severe financial consequences on the child or successor trustee.